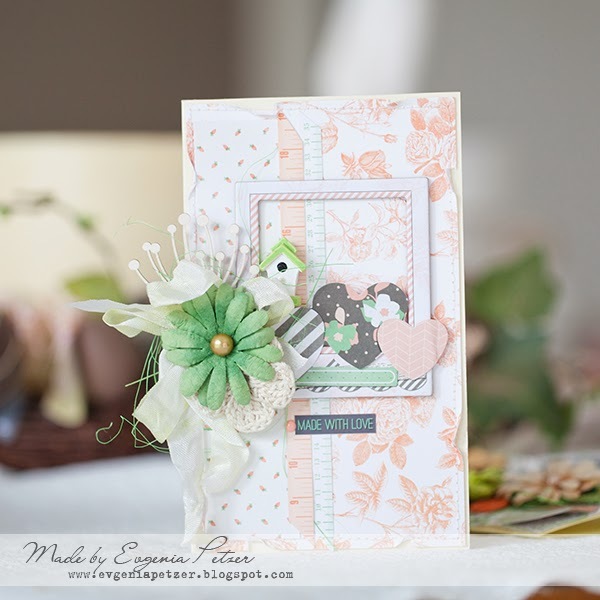 Welcome to our second day of Blossoms week, here on the BoBunny blog. 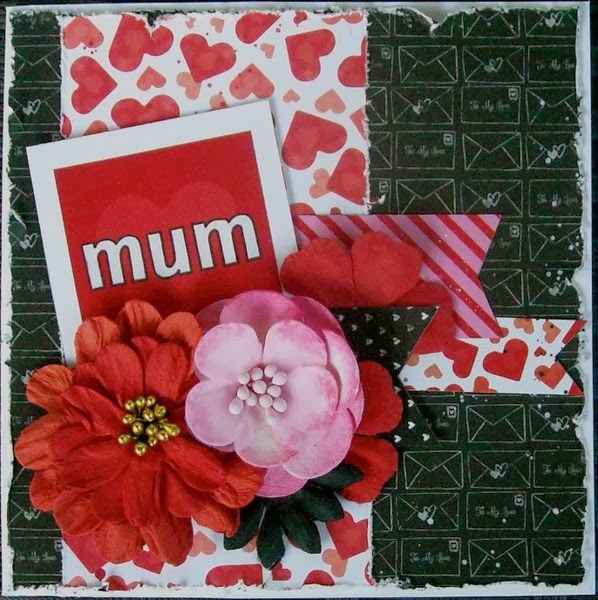 Today, Evgenia, Denise and Megan have each created a pair of cards to share with you. 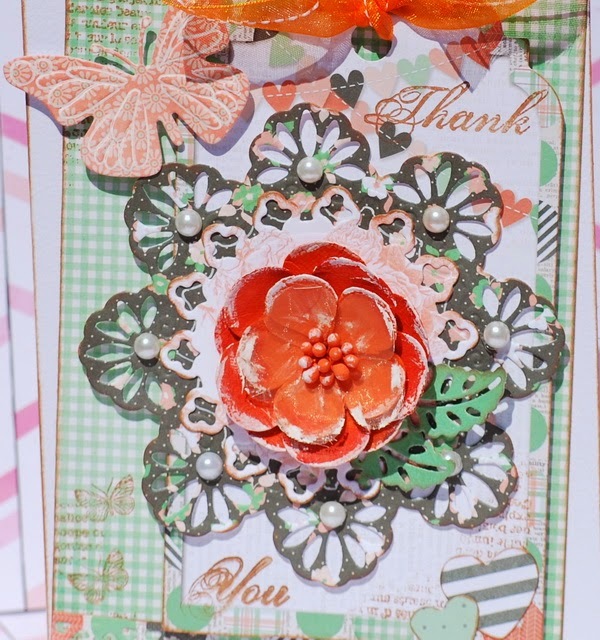 They have done a fabulous job of showcasing how the gorgeous BoBunny Blossoms can add the perfect touch to any card. 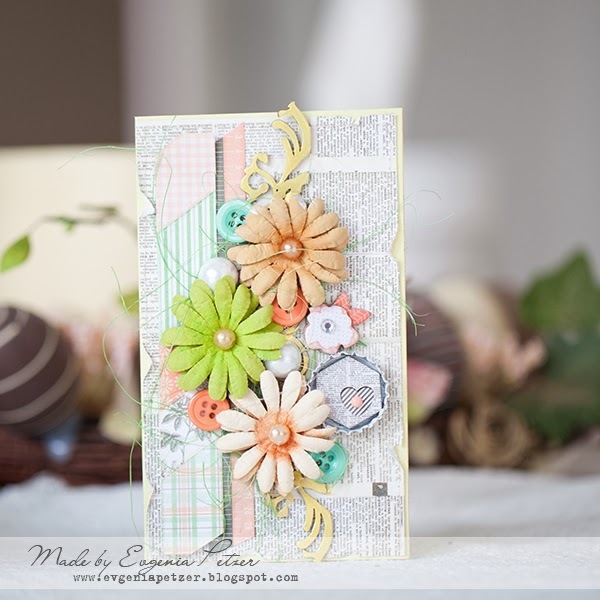 Daisies are definitely my favorite Bo Bunny blossoms, so I used several of them on this soft feminine card. I used the bottle cap from my hubby's cool drink. I covered it with gesso and then placed the Bo Bunny chipboard inside. 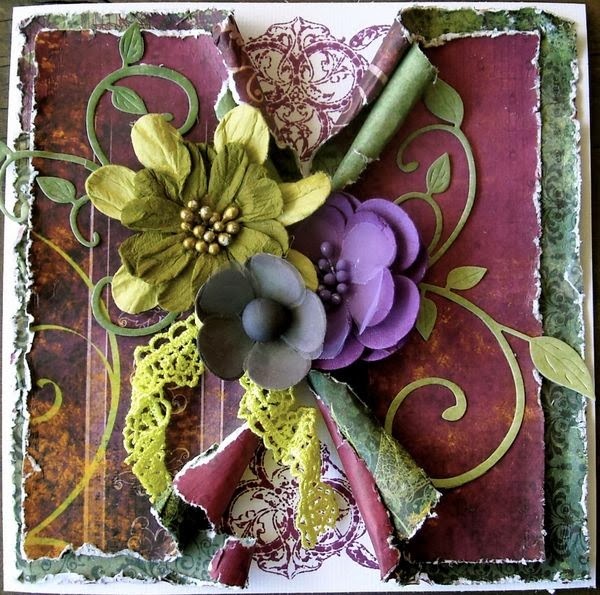 On this card I added the knitted flower as well. 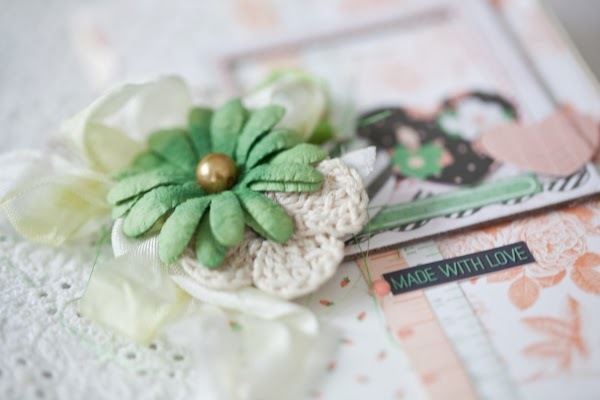 This collection is all about handmade things so I thought the knitted item continue this theme. 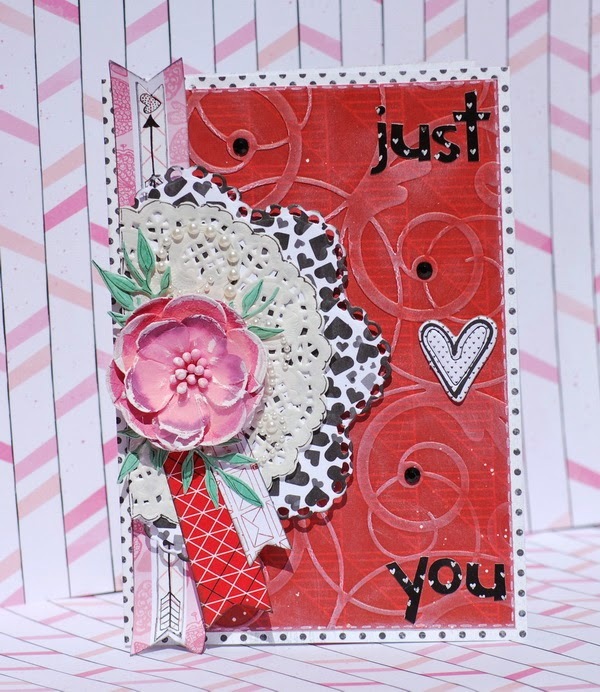 I wanted this card to be romantic and soft, yet still have the bold colouring of love. So I combined pink, red, white and black. 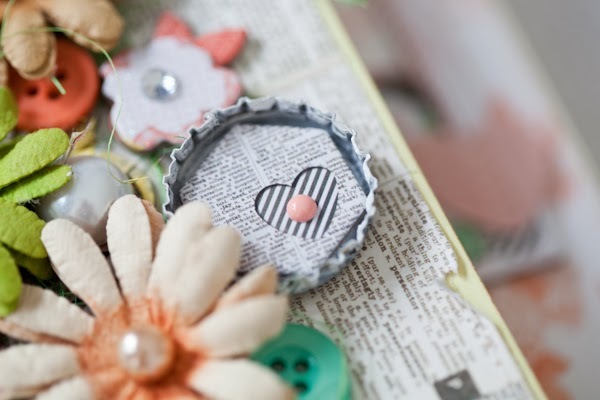 I love these BoBunny blossoms, they really are so beautiful and are so versatile. Thank You cards are normally quite personal. 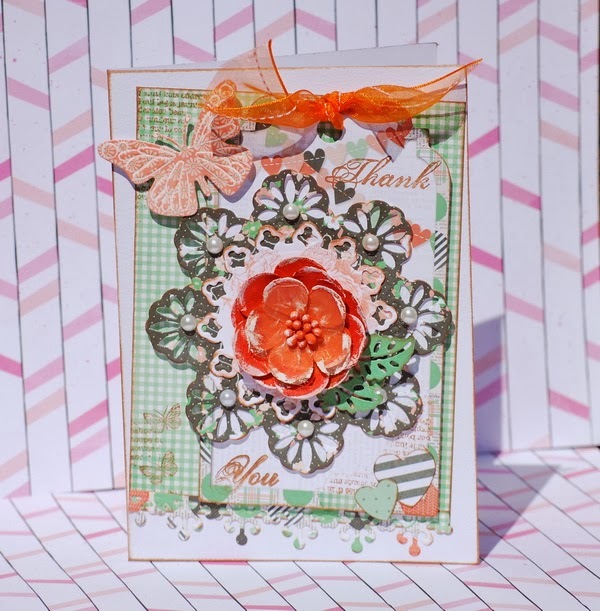 I wanted this card to be special and thoughtful, so I used a lot of die-cuts to give layers and add softness. I always like to add a few touches of white to my flowers as it also adds to the softness. I love BoBunny Blossoms and the rich colour combo of Autumn Song, so I wanted to combine the two to create my card. 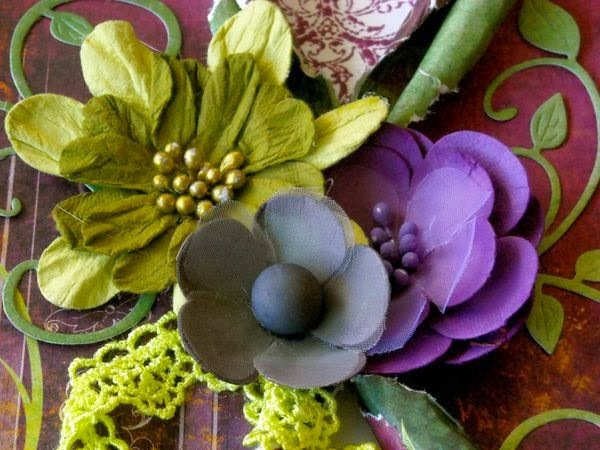 I also love how purple and lime green go so well together! I am inclined to give things a distressed look if I can get away with it, because I am particularly drawn to anything that has a heritage feel to it. 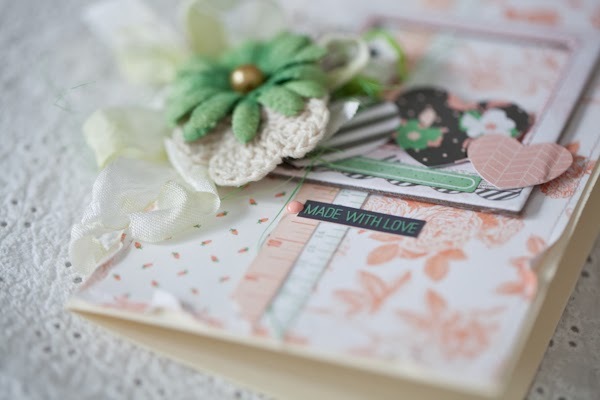 Here I distressed and curled the edges of the patterned paper to incorporate that look. 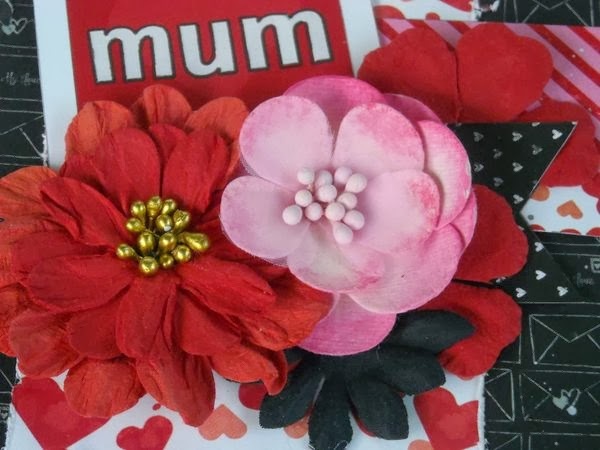 My Mum's birthday is the beginning of February, so I used Head Over Heels to create her a card. I thought this collection was perfect because her favorite color is red and the sentiment behind this range let me show her how much she means to me. 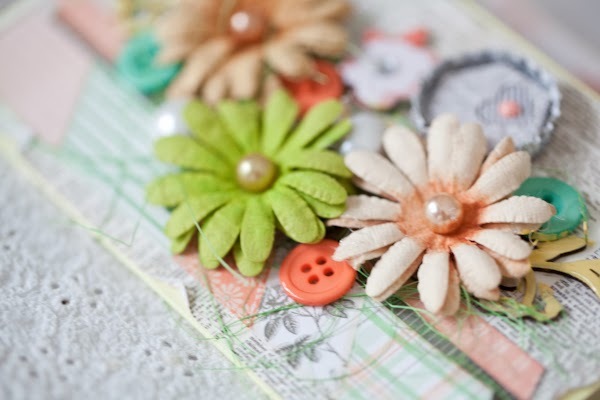 This time I pulled apart the petals of one of the Blossom to make them go further on my projects. It also keep the card from being too bulky. I also utilized some of the die cuts from the reverse sides of the papers. Can you pick which ones? Wow! Everyone is really rocking the pretty flowers! They're all awesome! These are all absolutely gorgeous cards. I love how you used the flowers! These are gorgeous and amazing. Great job, Ladies. 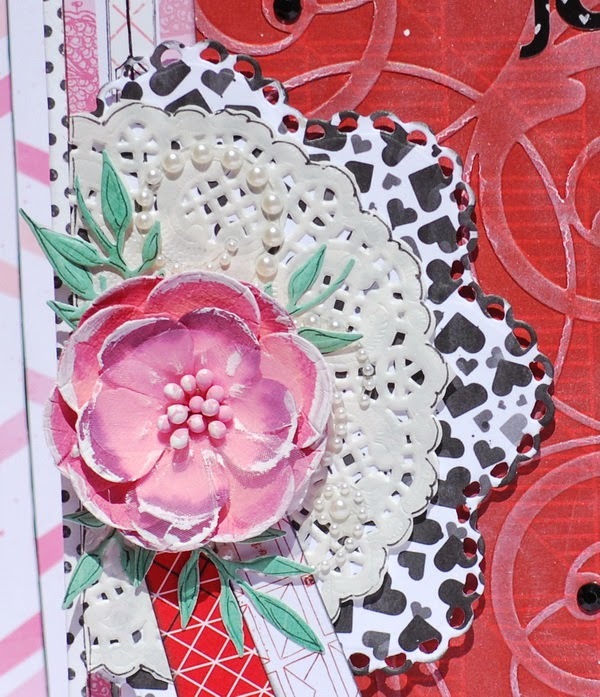 EACH & EVERY card is a FLORAL DELIGHT!! !